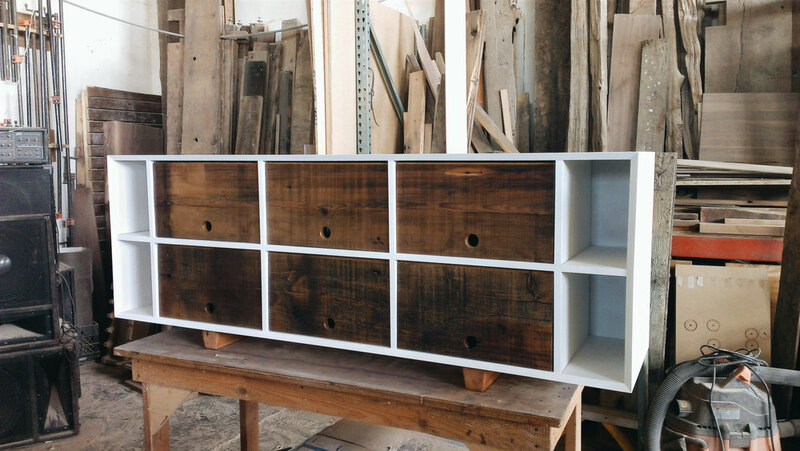 Sideboard featuring 6 compartments large enough to fit most AV units. Grommets in each compartment allow tidy cable management, The doors to each compartment feature no external hardware and slide up and into the top of each compartment allowing you to leave them open and are made from solid pine barn siding with natural weathering, and are reversible with a sanded and finished other side. $100 delivery in NYC and some areas of NJ. Everywhere else $100-$400 depending on location.